In addition to a busy performing schedule, I am an active teaching artist in New York City with the New York Philharmonic and Musicambia. I teach music appreciation, lead creative composition activities, and teach beginning recorder in two elementary schools and Sing Sing Correctional Facility. From 2012-2014, I taught at a high school in Queens through Ensemble Connect. I also perform interactive performances all over the city for a wide variety of audiences and settings with Decoda and the NY Philharmonic. In the past few years, I’ve performed in schools, detention facilities, hospitals, retirement homes, and community centers. 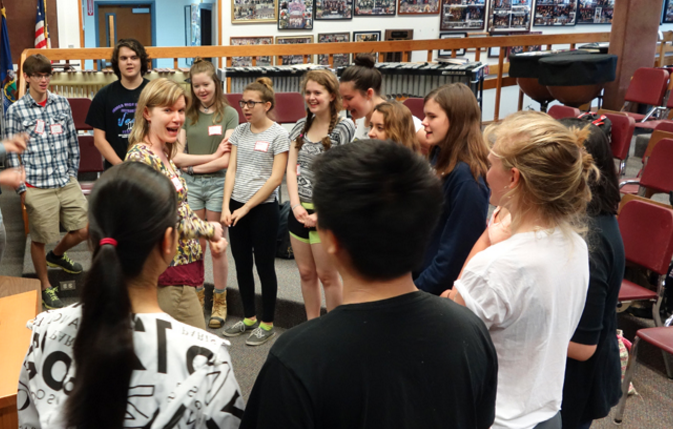 I believe music education is a universal right and teaching is an essential, vibrant part of my career. For a window into my work in the classroom, check out this short video and a Carnegie Hall blog post. I also teach private horn lessons. For more information about my teaching style, rates, and availability, please contact me.